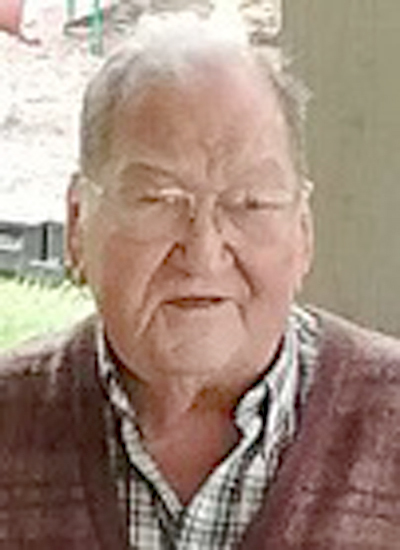 Marlin D. Yoder, 92, of 415 Allensville Mountain Road, Allensville, passed away at 5:45 a.m. on Wednesday, Dec. 5, 2018, at Valley View Haven. Born Feb. 18, 1926, in Allensville, he was the son of the late Daniel L. and Elsie L. (Yoder) Yoder. He was preceded in death by his first wife, M. Joan (Rosensteel) Yoder, who passed away in 1957, and his second wife, Dorothy G. (Yetter) Yoder, who passed away on Nov. 16, 2014. He was also preceded in death by a daughter, Melissa Sue Yoder in 1967. He is survived by: his children, Bradley O. Yoder and wife, Mylene, of Allensville, Amy B. Rhodes and husband, Harry, of Reedsville, and Daniel L. Yoder and wife, Vicki, of McVeytown; grandchildren, Mara Lin Rhodes and Jakob Steven Rhodes; stepgrandchildren, Chelsea V. Lindsley and husband, Nathan, James G. Rhodes, and Justin E. Trego and wife, Angie; four stepgreat-grandchildren; brothers, Daniel F. Yoder, of McAlisterville, and Joseph K. Yoder and wife, Beverly, of Allensville. Marlin attended Allensville High School and graduated from Huntingdon High School. He served in the U.S. Army Air Force during WWII and he was the former owner and operator of M.D. Yoder Garage and Auto Sales in Allensville for 40 years. Marlin was a member of St. Paul’s Lutheran church in Allensville, where he served on church council for a number of years. He was a charter and life member of the Allensville Volunteer Fire Co. He served as fire chief and was involved with the restoration of the 1936 American LaFrance. He was also a Menno Township supervisor for 34 years. He was a member of the F&AM Post #376 of McVeytown, the Royal Arch Chapter #186, Lewistown, the Lewistown Commandry #26, the Jaffa Temple, Altoona, the Juniata Valley Forest, Tall Cedars of Lebanon #88, Mifflintown, and a member of the Mifflin County Shrine Club. Marlin enjoyed hunting, fishing and traveling with his wife and family. His funeral service will be held at 11 a.m. on Saturday, Dec. 8, 2018, at St. Paul’s Lutheran Church, Allensville, with Pastor Mike Zigler officiating. Burial will be private and at the convenience of the family at Allensville Presbyterian Cemetery. His family will receive friends from 6 to 8 p.m., Friday, Dec. 7, at Henderson Funeral Home, 3813 West Main St., Belleville, PA, and again from 10 a.m. until the time of the service at the church on Saturday. There will be a Masonic service at the conclusion of the viewing on Friday at the funeral home. Should friends desire, memorials may be made to: St. Paul’s Lutheran Church, P.O. Box 163, Allensville, PA 17002, or Allensville Volunteer Fire Co., P.O. Box 161, Allensville, PA 17002.